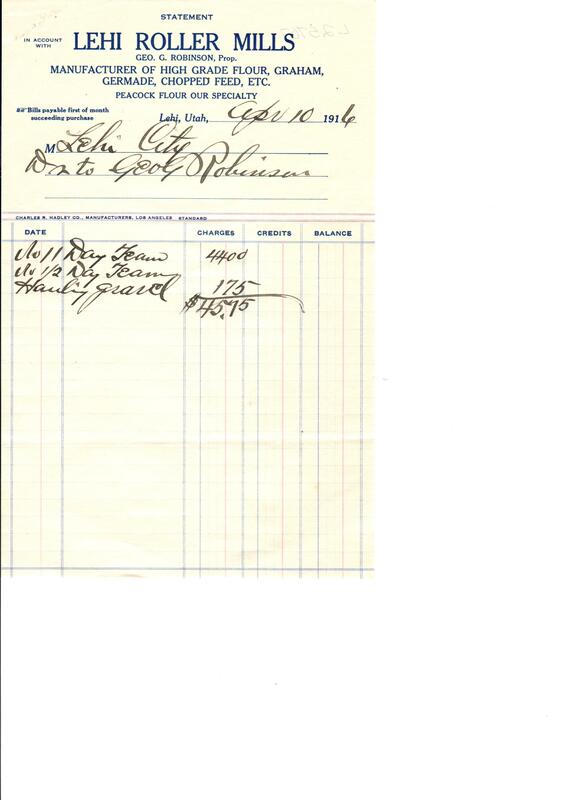 Description Lehi Roller Mills billing statement, addressed to Lehi City, detailing charges of forty-five dollars and seventy five cents for day teams and hauling gravel. Signed Geo. G. Robinson.